The Sophos Mobile Security antivirus app protects your Android devices without compromising performance or battery life. The app uses up-to-the-minute intelligence from SophosLabs and the Sophos core antivirus engine. This means your apps are automatically scanned for malware as you install them. Sophos Mobile Security’s consistent performance has earned recognition from independent testing agencies including AV-Test. Our Sophos Mobile Security antivirus app protects your Android devices with proactive identification of malware. Your apps are automatically scanned for malware as you install them. Sophos includes protection for PUAs and low-reputation apps—new apps that have no known history and may pose a threat. PUAs include adware, rootkits, diallers, and any association the app may have to previous malicious behaviour such as a certificate that has been compromised. If you’re interested, go to Google Play and download our free stand-alone version. Search for “Sophos Mobile Security” in the app store. Try the app for as long as you like, on as many devices as you need. Get centrally-manage mobile protection and gain visibility and control over app settings. 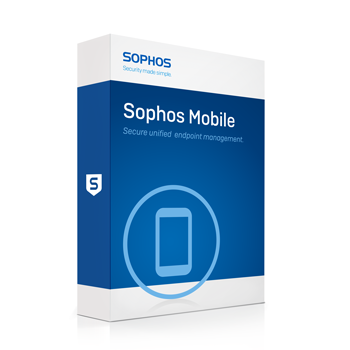 Sophos Mobile Control Advanced executes your company’s security policies using a complete Enterprise Mobility Management (EMM) solution.